What's the difference between MyGet and NuGet.Server, Orchard Gallery or NuGet Gallery? Why Should I Use MyGet? There are quite a few usage scenarios out there where MyGet fits in very well. MyGet also plays nice and provides integration with the tools listed in the MyGet cloud below. 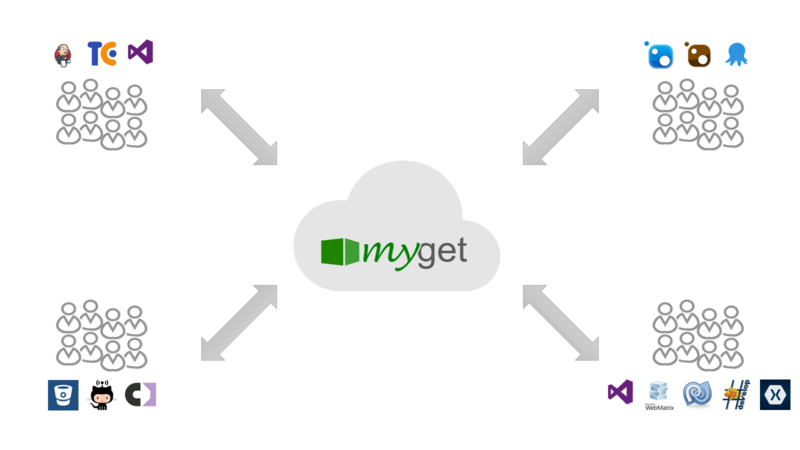 If you're interested in migrating to MyGet, then take a look at our how-to migrate to MyGet page. Multiple API keys per user: why give the build server your API key if you can give it its own? And much more! Check the MyGet features for a complete overview.